I've got fresh peppers, eggplant, rosemary, tomatoes, parsley, basil and many other veggies and herbs growing outside in my little garden. I realized I needed to start eating healthier because I kinda fell of the wagon. 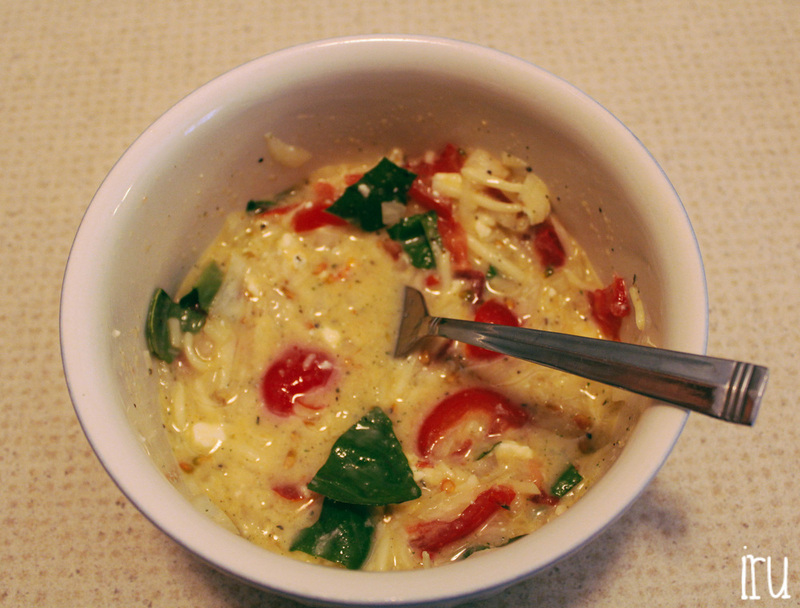 I was trying to figure out what I could put my fresh basil in, so one morning I decided to make an omelette. I know it's a pretty common recipe but I thought I'd share it with you (and share my pictures too) It was such a delicious meal to have at the beginning of the day. 1. Veggies: First chop up your onions. You don't want them to be too small that you can't taste them and yet you don't want them to be too big either. Then slice your cherry tomatoes. 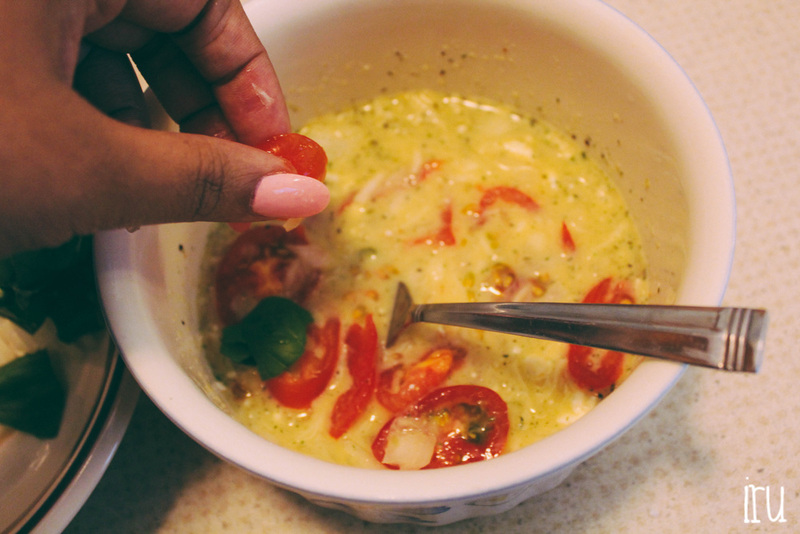 If you don't have cherry tomatoes you can use regular tomatoes. Just use half of one. 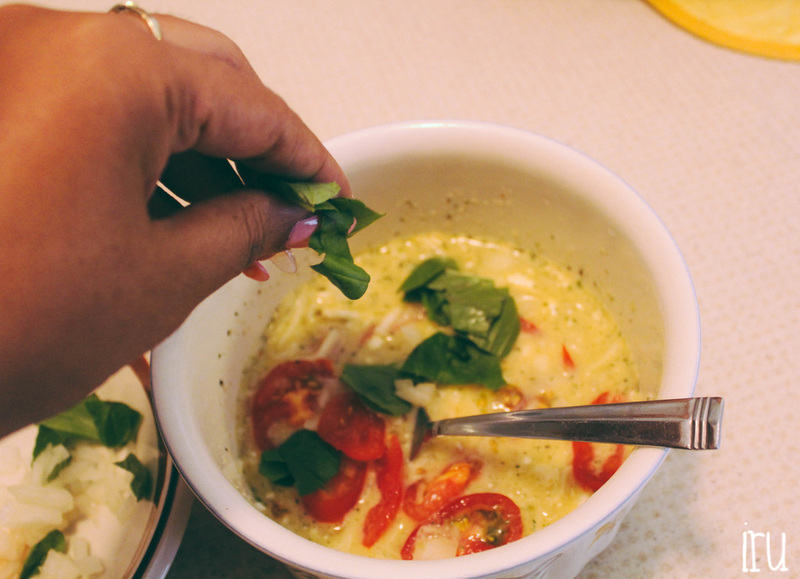 Take two or three fresh basil leaves (depends on how much you prefer) and tear into smaller pieces. 2. 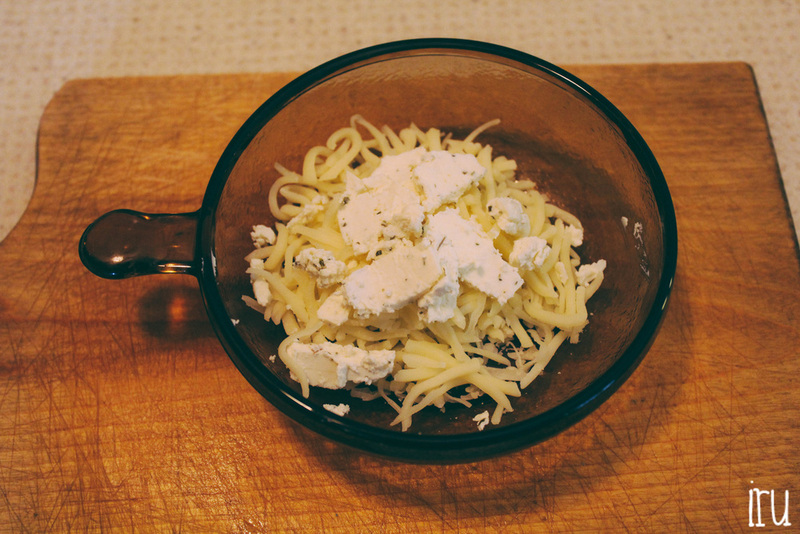 Cheeses: Take a cup of mozzarella cheese and 2 Tbsp (or a packet) of Alouette and mix together. 3. Eggs & Milk: Take two eggs and evaporated milk and mix together. 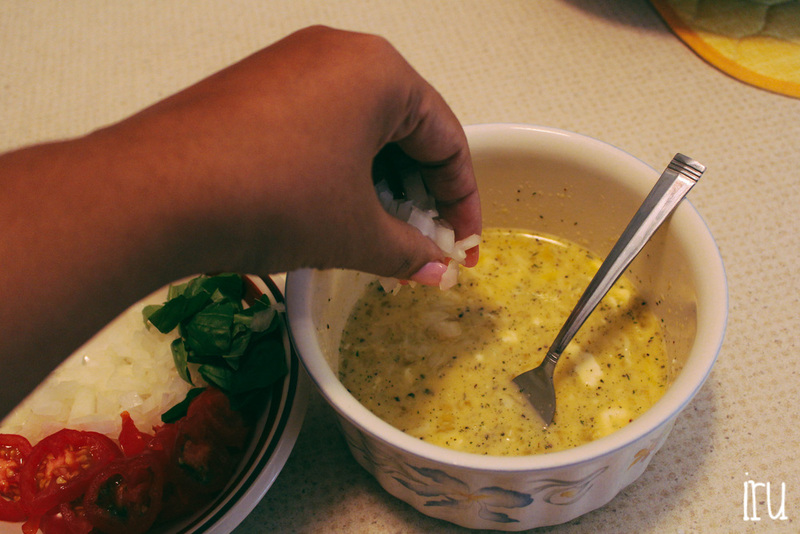 Add 1/4-1/2 tsp of garlic salt. 4. 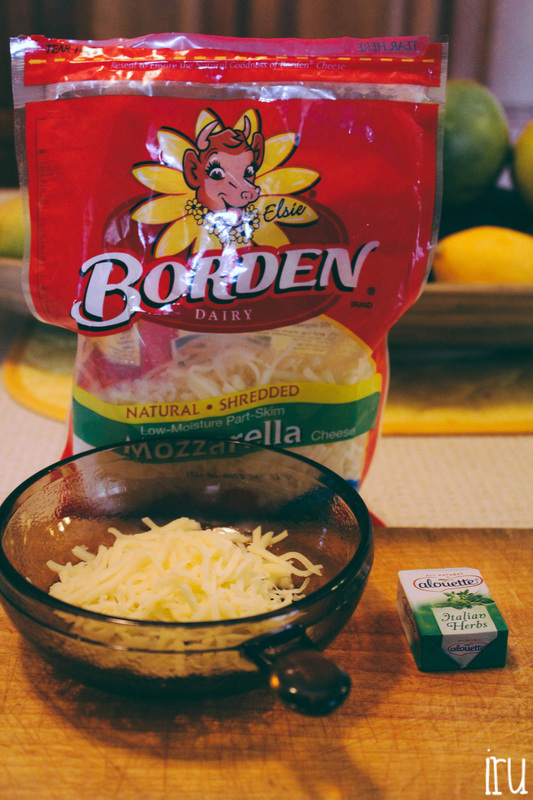 Blending Together: Add blended cheeses to egg & milk mixture. Next add the tomatoes, onions and basil. Stir until well blended. 5. 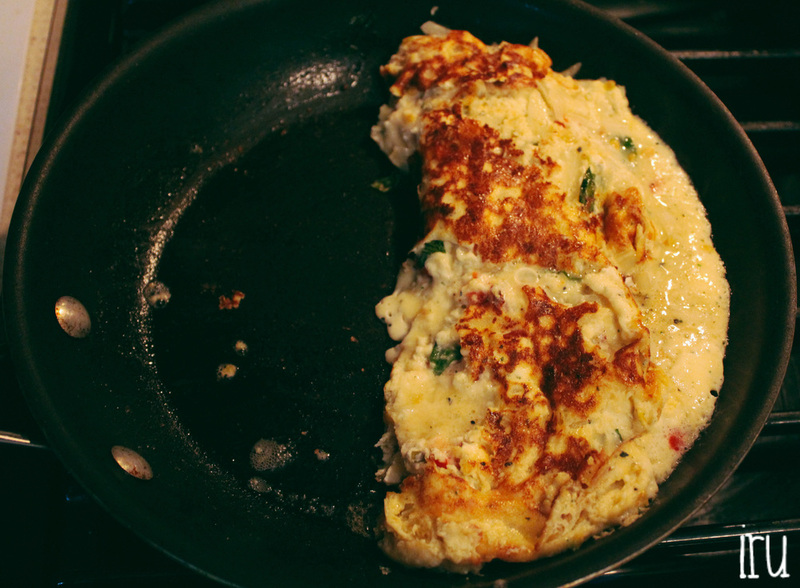 Making the omelette: Take pan and put over medium heat. Take 1/2 Tbsp of butter and melt in pan. Add half of egg mixture and cook until ready to be folded in half. Once folded in half cook until done. Repeat to make second serving. There you have it ladies and gents. I slightly over cooked mine but thats ok. I also didn't make mine 2 servings when I first made it and realized it was too much as one serving so I revised the recipe to 2 servings. 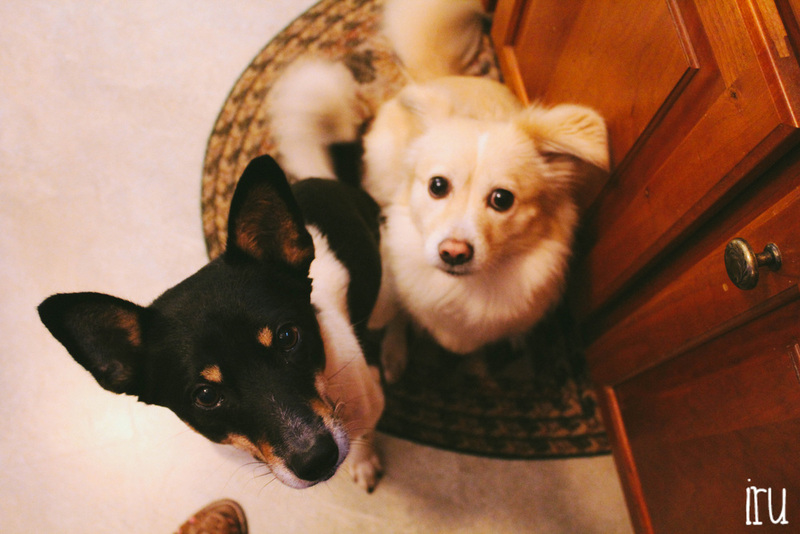 My dogs were anxious to see what I was making. My cute little fur babies.